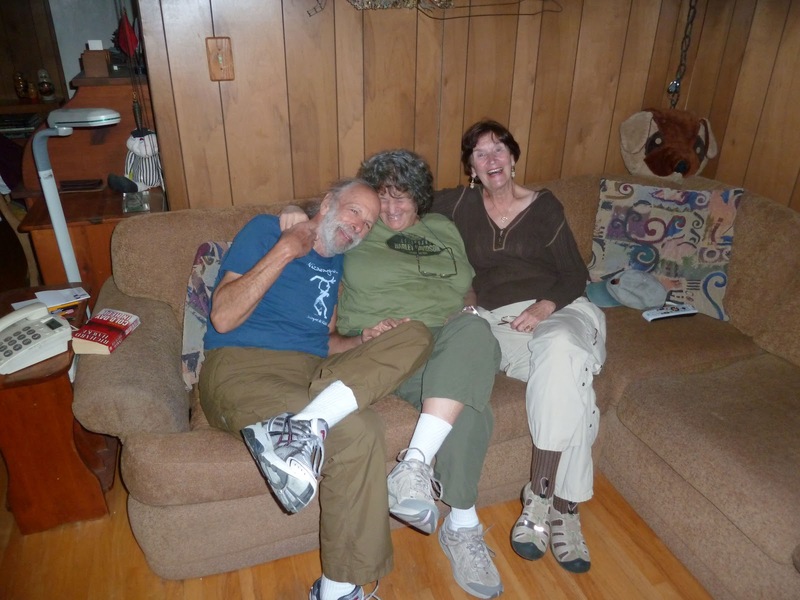 Arlene and I have been friends since our school days in Louisville. Fortunately we have kept in touch and visited over the years. In September of 1964 we decided to drive to California with the intent of returning to Louisville. 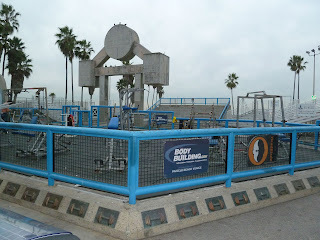 As it happened we ended up staying in Los Angeles. We loaded up her Carmen Ghia, each put $50.00 in kitty for our outbound trip and another $50.00 for the return. Gas was 25 cents/gal and the Carmen got around 40 MPG. We had money left when we arrived and watched our expenses very carefully. Some days we ate watermelon, peanut butter and very inexpensive meals. Stayed in parks and cheap motels and a cousin of her's in San Antonio. Got bed bugs in one motel in Mississippi and in Albuquerque for the room we scraped soaps scum off the shower walls. Found ourselves in a state park in Texas that was actually closed due to encephalitis outbreak. Slept in the car that night. We even drove into Ensenada,MX for a weekend. Arlene had the hubcaps stolen from the Carmen. Fortunately they left the car. 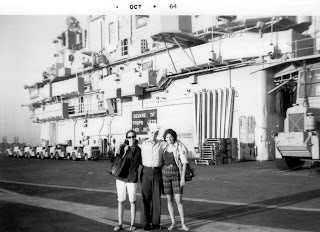 In San Diego we toured the USS Yorktown thanks to a friend she knew stationed on board. Security was more lax then. All in all the trip was a very memorable experience and I am thankful for the opportunity. When we arrived in Los Angeles, we were able to stay with a friend of Arlene's for several months. We found jobs and decided to stay. 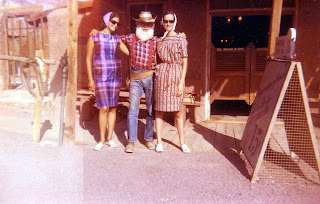 I met my first husband there and we got married in 1965. 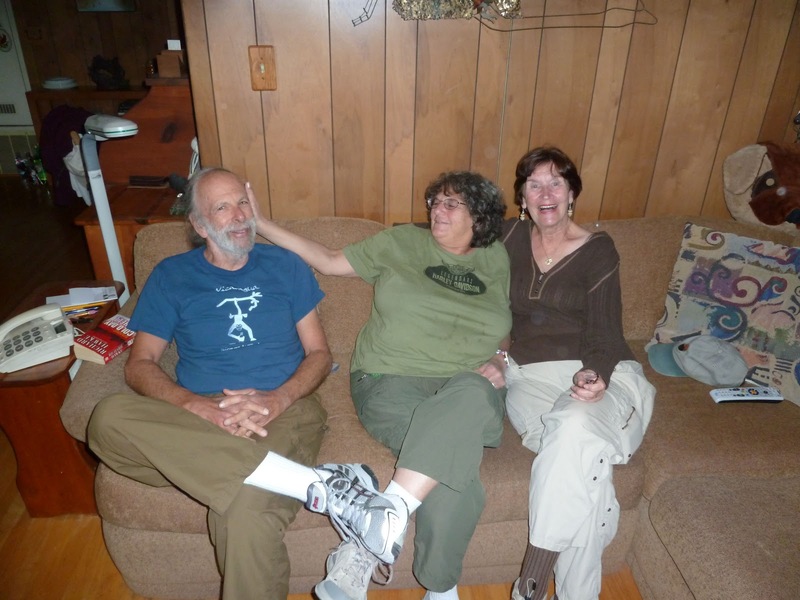 Arlene met Sheldon and they have remained in the area. In 1970 Dan, Eric, Darin and I moved to Texas where Hope was born in 1972. 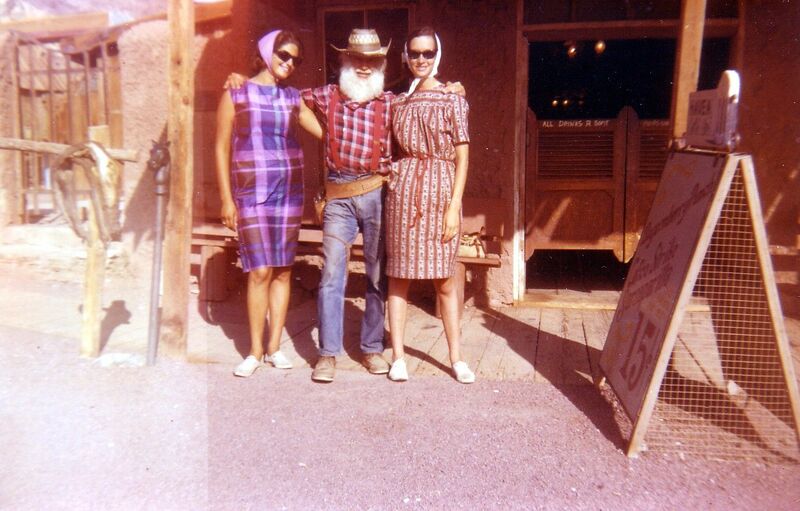 Stayed in several areas of Texas until 1990 when John and I with Hope moved to Salem OR. 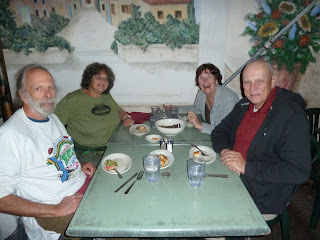 We drove into Culver City for our get together and catching up. 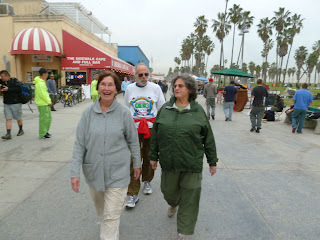 Arlene and Sheldon drove us to Venice Beach for a long walk and return via the canal to the restaurant for dinner. If you have never done the walk on Venice Beach, you must. It is quite the education of our present culture. 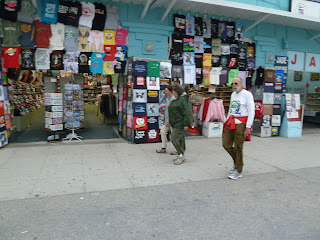 There are many shops and kiosks offering all sorts of tourist items,tattoos, medical marijuana,food,entertainment and close up views of the many homeless who make that area home. There are also high end homes. What a contrast. Certainly not an area I would like to live. 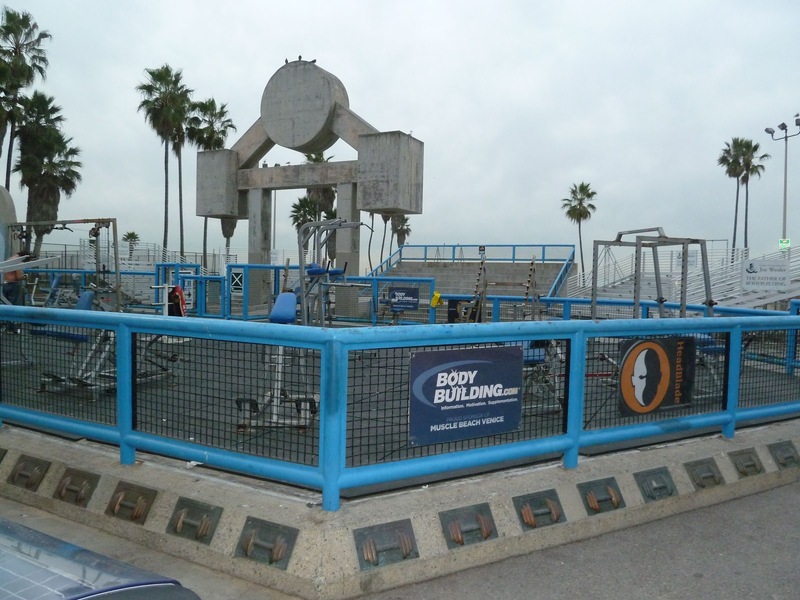 This beach area is also known as muscle beach. Arlene gave us a slice of Derby Pie for take home dessert as we were too full from dinner. We enjoyed our time together. Their travels are more exotic than ours as they have traveled to Mongolia,China,India,Antarctica and other exciting places. 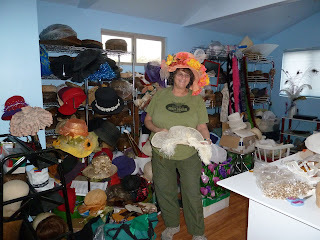 Arlene makes many type of hats as depicted in the photo. Her studio was filled with forms,materials and hats. She is now making hats for the production of "Ragtime" at the Westchester Playhouse in LA.